M & R Capital Management, Inc.
M & R Capital provides investment management services focused on the needs and aspirations of our clients. Mr. Maloney is Chairman and Chief Executive Officer of M&R Capital Management, Inc. Mr. Maloney co-founded the firm along with Alan Rosenfeld and Richard Diver in 1993. 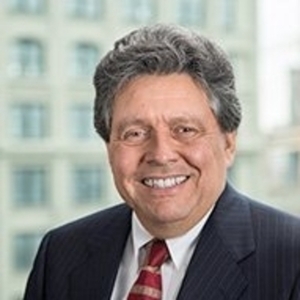 Previously he served as Managing Director and Senior Portfolio Manager at Sterling Advisors, a division of Gruntal & Company, LLC, which he also co-founded in 1984. He began his career at Marine Midland Bank in 1978 and then joined The Herold Group in 1980. In 1981 Mr. Maloney continued his career as Portfolio Manager at Bayrock Advisors, a division of Prudential Securities. Mr. Maloney completed both his undergraduate and graduate education at Columbia University, where he earned Bachelor of Arts degrees in Economics and Political Science, and master’s degrees in both Business Administration (MBA) and International Economics (MA). He has over 30 years of investment management experience. Mr. Maloney also serves as the Treasurer of the Board of the Marion Woods Retirement Community in Hartsdale, NY. John E. Maloney is a contributor to Forbes.com. Mr. Maloney offers commentary on companies, industries and stock market sectors he follows in his regular role as the Chief Investment Officer of M & R Capital. Past Performance may not indicate future results.